The Travelon AT Classic Plus Tour Bag is classy and professional tour bag. Strong slashproof compartments, RFID blocking technology, stylish and practical design of the bag make traveling easier and safer. 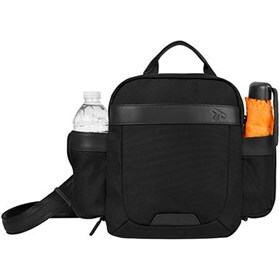 This travel bag has two zippered expansion pockets that are fantastic for holding a bottle or a thermos. It has a fleece lined pocket that prevents scratching. The Travelon Anti-Theft Classic Plus Tour Bag - Black with black leather trim has many exciting features for users of all types. See the Travelon Anti-Theft Classic Plus Tour Bag - Black with black leather trim gallery images above for more product views. The Travelon Anti-Theft Classic Plus Tour Bag - Black with black leather trim is sold as a Brand New Unopened Item.